During our entire time in Budapest, we had George Ezra’s song “Budapest” playing in our minds. To be perfectly honest, we went to Budapest with no idea what we wanted to see and do. We had this song stuck in our heads for so long that naturally, when planning our Europe trip, we decided it had to be included in our itinerary. 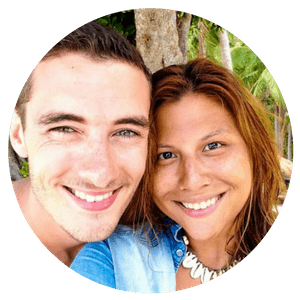 Like all places that you venture to with no expectations, we were not disappointed about our decision to head here. From the few days that we were there, we already knew that it would be a place that we would one day have to come back to. Although I was down with the flu and horrible cough and colds, we made the most of our time in the city and saw as much as we could. So if you ever find yourself heading to this beautiful city, here are a few things that you must do. 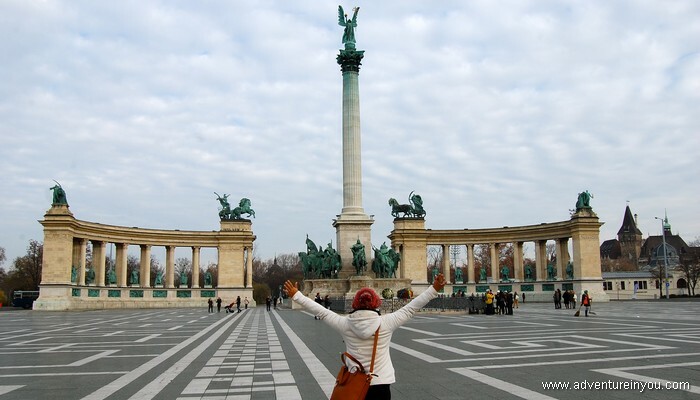 Do a Free Walking Tour around the Beautiful Budapest Streets! 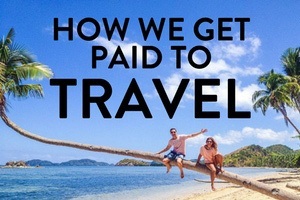 Literally one of our favourite things to do while in a new city (and not just because it has the word free!). Walking tours are a great way to explore a new place and get your bearings. 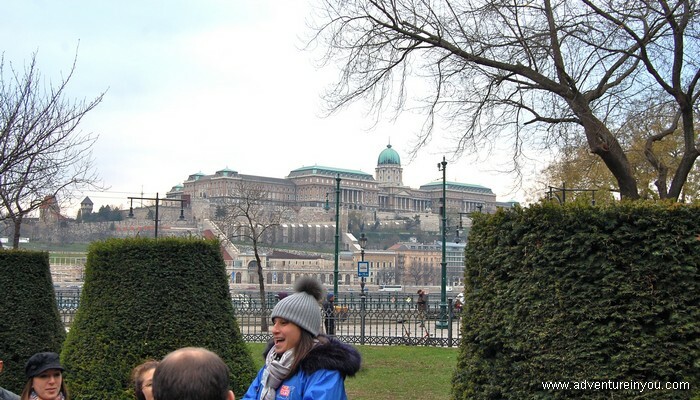 While in Budapest, Tom joined the free walking tour as I was stuck in bed ill. We went with the one recommended by our hostel called Free Budapest Tours but there are other walking tours available. During the tour, Tom was completely enthralled by the beautiful architecture, rich history, and edginess of Budapest. 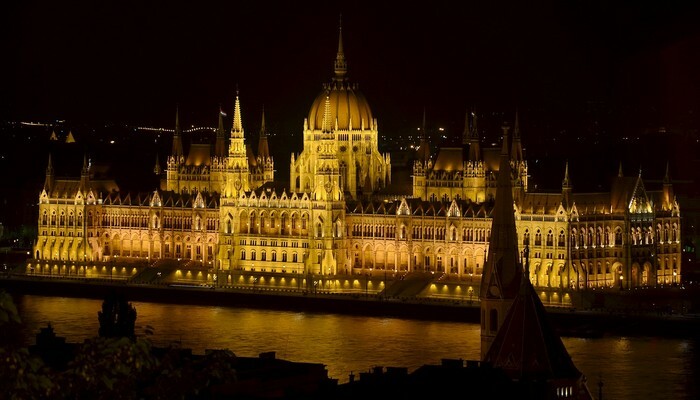 The tour orientates you and takes you around both Buda and Pest covering areas like the Danube Promenade, Matthias Church, Opera House, St. Stephen’s Basilica and other important landmarks within the city. They also offer free tours that talk more on the faith, reign of terror, and communism in Budapest. Even if you’re not a castle or palace person (like Tom), the Royal palace in Budapest is impressive and should be on your things to do list! It is a World Heritage listed site which is also home to their national gallery and history museum. From there, you can admire the unique tiled roof of Matthias church as you walk around the cobble stone streets. Budda Castle is located in the southern tip of Castle hill and is famous for the old medieval style houses, churches, and buildings. Walking around this area is like stepping into a storybook based from the baroque and medieval era. Budapest is known for its many bath houses and you cannot visit this beautiful city without indulging in this activity yourself. Although a seemingly odd concept for others, baths are a historic tradition that is part of many European cultures. Due to the abundance of underground thermal waters, Budapest is dotted with loads of thermal baths. 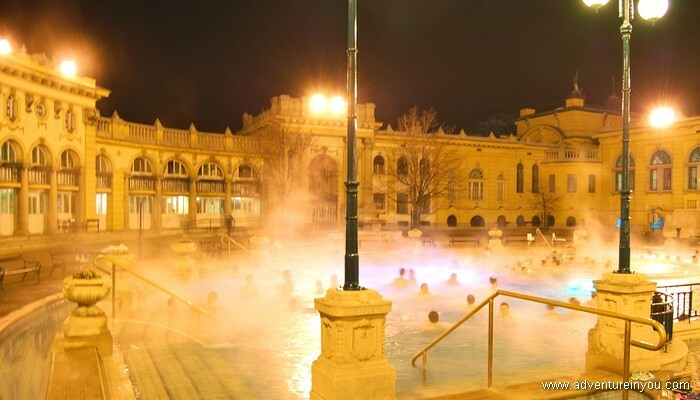 We chose to head to the popular Szechenyi Bath which is renowned for its stunning architecture. The baths were both relaxing and an experience in itself. Since we went during Winter time, we were soaking in the warm thermal pool outside in the freezing cold-sometimes, if you’re lucky enough, you can even stay in a bath while it’s snowing! They also have indoor pools. Steam baths, and sauna rooms for you to use. If relaxing around baths with strangers isn’t something you are keen to do, they also have Saturday night pool parties which we heard are pretty awesome! Budapest is full of beautiful old buildings that were sadly abandoned. The government were about to demolish them but the citizens of Budapest had other plans. Their solution? 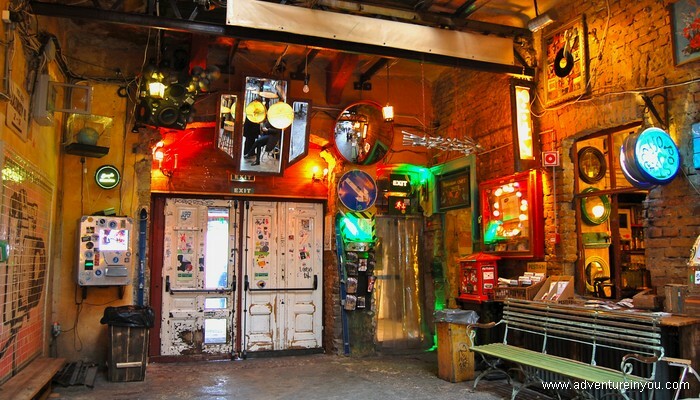 To turn these old abandoned buildings into ruin bars which were grungy, run down, but very edgy. We went to a rather popular one called Szimpla Kert which had old furniture hanging up all over the wall. The chairs were mismatched, the furniture was weird (bath tub couch anyone? ), and the whole thing was like a movie set. We loved it and moreover, we love the concept behind ruin bars! Other popular must visit ones are Fogasház, Mazel Tov and Ellátó Kert. 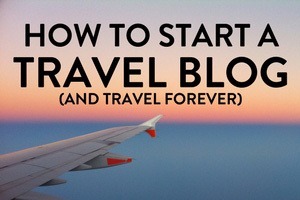 Again note this as a must on your things to do! When we first stumbled upon Heroe’s Square, we had no idea what it was but it looked very impressive. Showcasing the National Heroes and leaders of Hungary, Heroes Square is home to statues and monuments commemorating these leaders for their contribution to their country. Around the square are museums which you can visit as well as a large city park where you can walk through open fields. Since we went during Winter time, we got to see people ice skating in the lake. For those that are more interested in castles, the Vijdahunvad Castle is locared nearby and is a great place to wander around in. During the summer time, we can imagine doing picnics and taking leisurely strolls by the city park. Right before reaching Heroes Square is a Turkish café which our hostel receptionist swears by! Although she couldn’t give us the name, she swears that they had Turkish cakes and coffee to die for. Unfortunately we just have to take her word for it as we didn’t have enough time to stop by. 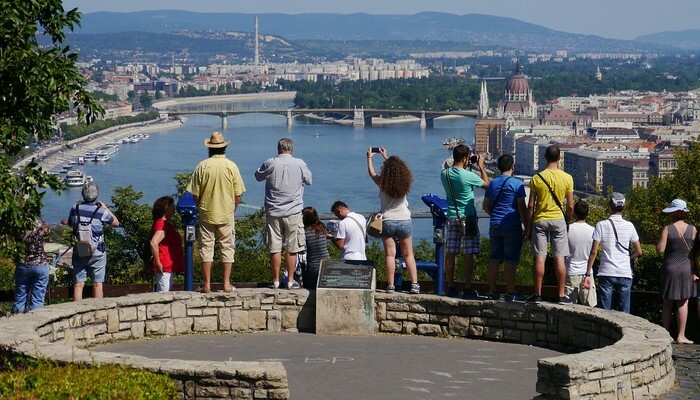 Known as the highest point in central Budapest, Gellert Hill is an ideal place to watch the sunset (during Summer months, atleast) and enjoy the views of the entire city. From there, you can literally see the majestic Danube, Elizabeth Bridge and many other parts of this historically rich city. Another popular Bath house, Gellert Baths is located here as well. The hill got its name from Saint Gerard who supposedly was killed by pagans who were rising up against Christianity by stuffing him in a barrel and throwing him off the hill. Located on top of the hill is the Liberty statue which the Hungarians have grown rather fond of. If you’re fortunate enough to come to this amazing city during Christmas, you will soon realize that Budapest had amazing Christmas Markets! Tom actually left his walking tour earlier than the rest to come pick me up so that we could both explore the markets together. As soon as we got there, it didn’t disappoint. The main market which we went to was located by Vörösmarty Square and had a nice big tree lit up in the middle. Little stalls selling knick knacks and traditional Hungarian food were all over the area. We had a delicious meal of kolbász (sausage) with cabbage and a tócsni (potato pancake) with stir fried chicken paprika and sour cream on top. It was delicious! While we were eating our food, we sat facing the church where they were projecting cool Christmas shows which added to the whole vibe and atmosphere. Although I was shivering by the end of the night, it was nothing a warm cup of hot chocolate couldn’t solve. Being that escape rooms are slowly becoming popular everywhere in the world, Budapest is the perfect location for it due to the many abandoned old buildings. Abandoned old buildings= fun/creepy escape rooms. I surprised Tom and booked us on our very first escape room and we are officially hooked! We decided to go with Pirate Cave Escape Room which although wasn’t first on trip advisor, came highly rated and had loads of good reviews. We enjoyed the wide variety of clues and tasks and definitely left the place planning to do another one in the near future. 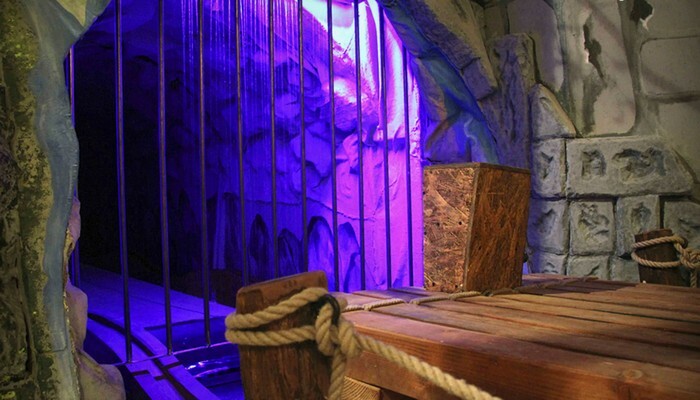 When we were in there, we had to solve clues, ride on a raft, unlock maps, and so much more! The popular museum “House of Terror” used to be the headquarters of two tragic events in Hungary’s history. Initially it was the party headquarters of the Hungarian Nazis then became the home to notorious communist terror organizations. Personally, we found the information to be rather overwhelming as there was a lot of it! They charge extra for the audio guide but you can also download the tour from the App store for a lower cost. 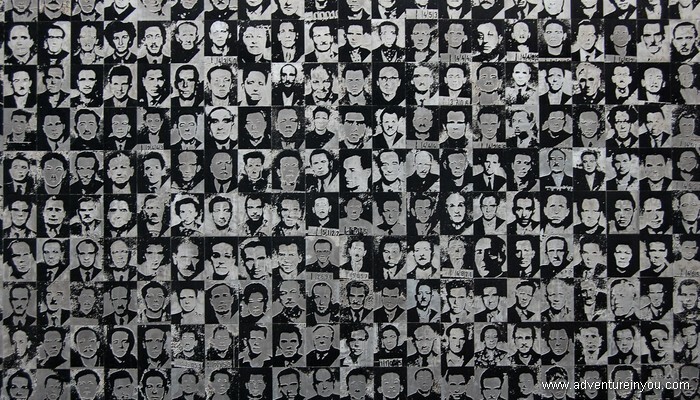 The museum commemorates the victims of terror, while also serving as a memento on the effects of totalitarian dictatorship. 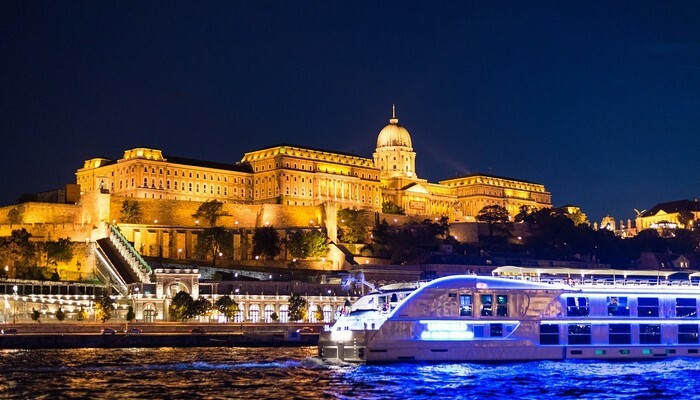 Walking along the bank of Danube is beautiful but what better way to enjoy it than by splurging a little bit to go on a boat cruise to fully be able to enjoy the view. At night, the entire city lights up and walking along its many central bridges like Margaret Bridge, Elizabeth Bridge, and the Liberty Bridge are must dos! We lucked out because although it was cold when we were there, the sky was still clear which allowed us the perfect views of the entire city when it was lit up at night. Although our time in Budapest was too short, especially since I was stuck in bed recovering from the flu half the time, we will definitely be back. 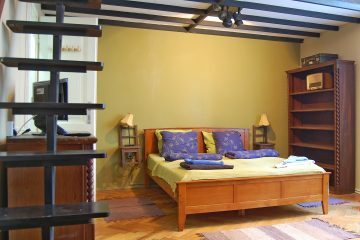 There are many things to do in Budapest and some that we want to do again. Preferably though, next time we visit it will not be as cold! I got my eyes on the ruin bars (and any ruins for that matter) and the bath! 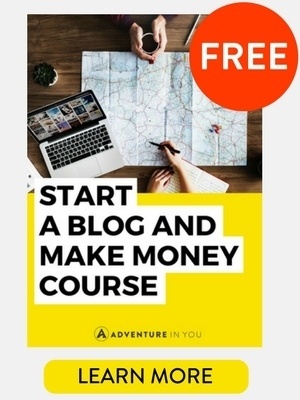 Actually sign me up for everything else too! Those escape rooms look like so much fun. I’ve never done anything like that before. Budapest (and Prague) are my bucket list destinations so you know I loved this post! I cannot wait to try out those baths. 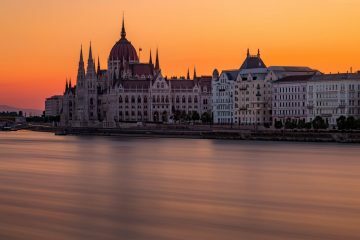 Your photo of the Budapest Royal Palace is beautiful! Maybe the best one i’ve seen at night. Fantastic post and photos Anna and Tom! I visited Budapest a few years and was impressed too. Like you, I wasn’t sure what to expect. I traveled to Budapest during late June and enjoyed seeing your photos of Budapest during cooler weather. We had a similar itinerary, except for the skating and evening cruise on the Danube. Like you guys, I went to Budapest without any expectation too and boy, was I in for a surprise! Budapest is definitely one of the cities in Europe that I would love to go back to and explore more because I just love their architectures. I didn’t get the chance to check out House of Terror and try their thermal baths either so these two are definitely in the list. Love it! I haven’t been to Budapest but I’m pretty inspired now love the pics too. Thanks for the inspirations. 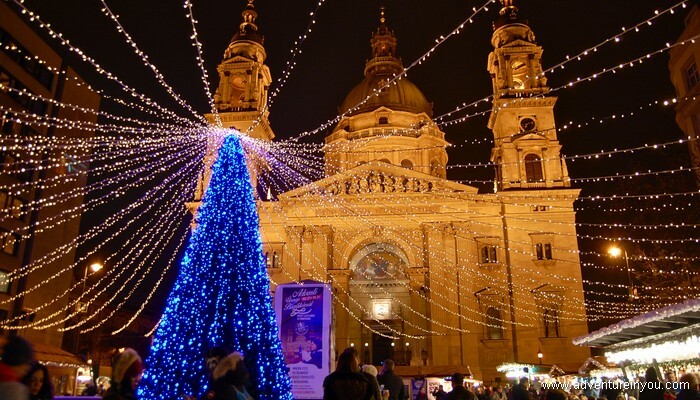 I have Budapest in my plans since a while, however I was rather thinking to go there in spring or summer; now I see around Christmas it’s also magical! Fabulous photos! I loved Budapest, though I wasn’t there for nearlly as long as I would have liked. My main memories are from having done a sunset dinner cruise and taken in those amazing sights of the Parliament building lit at night, and also the views from Gellert Hill. Hoping to get back soon! Love that Christmas market and indulging in a Bath House is great, unlike other cities where Bath Houses are just to look at! And, of course, I need to add the Danube to my list of famous rivers conquered!